Come see this great 2 Bed, 2 Bath condo today! This single floor condo is unique as it has a large attic space and no above units. Brand new A/C and Roof in 2017.Open floor plan with living room/dining room and adjacent kitchen with closet pantry/storage. Kitchen features a drinking water purifier with brand new filter and plenty of counter tops and storage. Spacious Master Bedroom has a large walk-in closet, window treatments and an attached bathroom with walk-in shower. This condo was the model home when the community was built and has floor to ceiling mirrors to visually open the space allowing in an abundance of natural light. 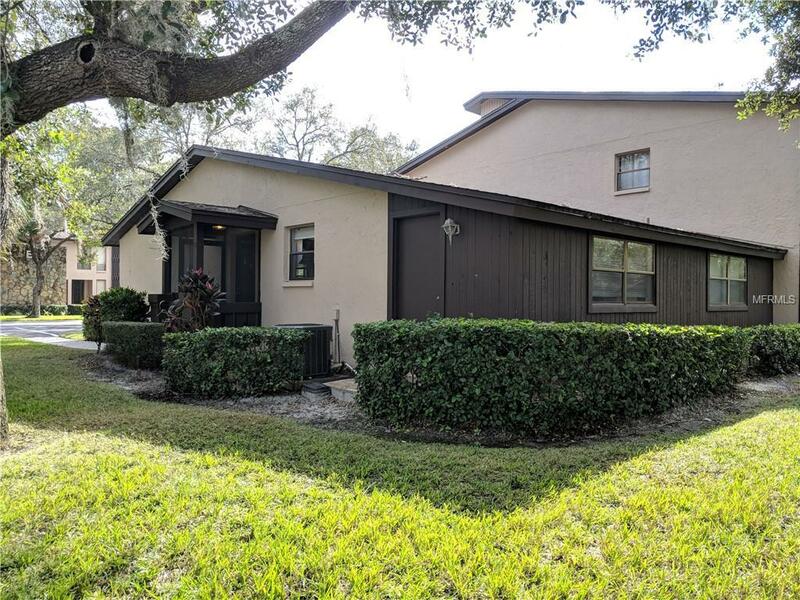 This condo is also unique with an enclosed air-conditioned Florida bonus room with tranquil views to the adjacent pond and nature. Laundry room with storage shelving is attached to bonus room with included washer & dryer. Assigned parking space and guest parking directly in front of the unit with mature landscaping. Community features a heated swimming pool and spa with Tarpon Woods Golf and Country Club across the street.